The Bookham Vanguard Forum will be promoting the Referendum for the Neighbourhood Development Plan which will be held on 4th May 2017 - events and information about where to find out more about the NDP will be published here when it is available. 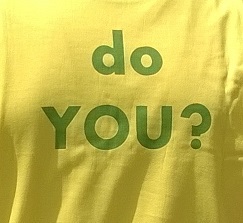 Saturday 18th July 2015 - Community Event to publicise the public consultation of the Draft Neighbourhood Development Plan for Bookham. The Barn Hall, Bookham. 9.30am to 12.30pm. The results of the consultation; comments made by residents of Bookham and statutory consultees will be published on the Welcome page. Village Day 2015. See our report on the Welcome page for June 2015. Village Day was a great success this year with the wonderful weather encouraging a large Bookham crowd to turn out and enjoy the parade, events and stalls. 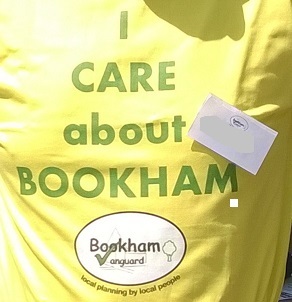 The information on the Neighbourhood Forum stand explained how the Neighbourhood Plan would aim to plan for the future of Bookham's growing population, protect what residents like about the village and hope to improve Bookham's facilities and environment. 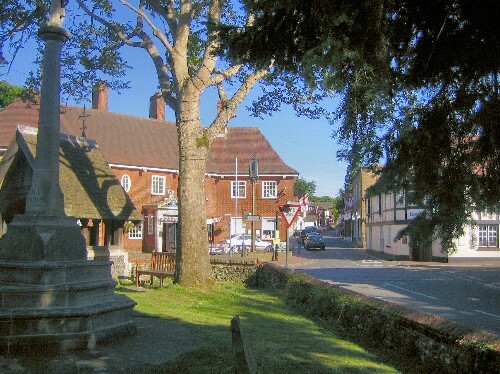 The Bookham Neighbourhood Forum had noticed in their March questionnaire results that the current profile of Bookham residents who had expressed an interest in the Neighbourhood Plan were in the over 50 age group. 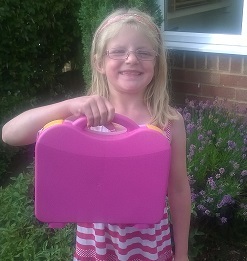 In order to gain the attention of the under 50's a decision was taken to spend the Summer promoting to as many parents of young children as they had time for. Forum members were on hand to answer questions and explain the NDP process. Over 150 children responded to the challenge and the winners were delighted with their prizes of their own lego models to build. The Neighbourhood Forum handed back responsibility to Mole Valley for reviewing the Green Belt in Bookham. This review will now form part of the Mole Valley Housing and Traveller Sites Plan (HTSP). A joint event was organised to invite Bookham residents to comment on the HTSP and look at the consequences for Bookham's future whether or not a Green Belt site or sites is identified for development in Mole Valley's Plan. The theme for this event was "Your Questions Answered" in response to queries arising from the Green Belt review method, consulted on during April and May 2013. The event hoped to guide the visitors through some common questions asked by residents about the Green Belt review, Neighbourhood Planning Process and Forum make-up. The questions and answers presented are available to download on the FAQ page of this website. Lucy Botting, Chair of the Forum introduced two new videos covering Infrastructure Issues and Bookham Business, the videos were shown on the big screen in the main hall as well as in the Waterfield Room where Chris Attwood, Deputy Chair of the Forum, held discussion groups after presenting the videos separately and at different times. The rest of the Forum helpers answered questions relating to the information presented on boards displayed around the Barn Hall. As well as providing refreshments. Bookham Vanguard exhibited information on the background to and progress of the Neighbourhood Planning project at both these events. Village Day saw the launch of the latest Newsletter (June 2013) and introduced the news that the revised tests for assessing the Green Belt had been consulted on, discussed by the Forum and finalised. The same information was available two weeks later at the Jubilocity evening event at Polesden Lacey, where it was also announced that the Green Belt review would be undertaken by Bookham Vanguard during July 2013. It was hoped that the review would be complete by the end of this month. But due to the very technical nature of the review process it will take longer than expected. Please keep in touch with news published on the home page, results will be published as soon as they are available. A new format for this event. View the videos shown, see the maps that were on display to do with New Homes for Bookham and the Green Belt review the method for which was consulted on with Bookham residents during April and May 2013. The results of the consultation are published separately. The Green Belt review is now underway. At this event a different format was used to bring the work of the Forum to the community. Background information was displayed for visiitors to read, Forum and Task Force members were on hand to explain and discuss the issues arising from the information provided. Table activities were used to help residents think through what planning decisions the background information might lead to. Pictures of the displays, a map of potential development sites currently identified and the results of the table activities and promotions survey will be published onthe Event's own, dedicated page as they become available. Read the presentation given by Trevor Sokell and the questions asked by attendees. Read the presentation given by Trevor Sokell and find out about questions asked at the meeting.